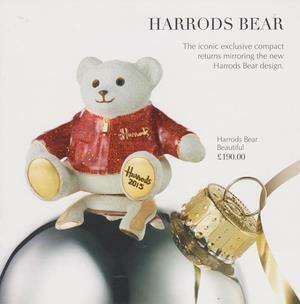 here comes your 2015 Harrods Bear. I would appreciate it if you could post 2014 & 2016 Christmas Bears Harrods Brochures. Thank you in advance. E-Mail me your address an I can send you both brochures as I have an extra one. I hope everything is well with you. I did not hear from you for some time. Please let me know if you sent me the brochures and of course I will pay for the postage via Paypal, just let me know what it is. Thank you.